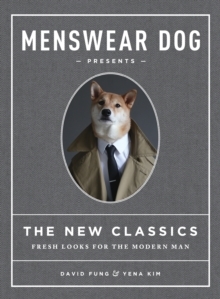 Bodhi, the Shiba Inu behind the beloved blog Menswear Dog, is here to show you how to dress like a man. Organized seasonally, The New Classics highlights the essential items every man needs in his wardrobe - from a chambray shirt to a perfectly fitted peacoat (all modeled by Bodhi, of course) - and shows readers how to mix and match them all year long. The book is jam-packed with serious fashion advice, from the only knot a man needs to know how to tie to the secret to a perfectly fitted suit jacket. Readers will learn when to splurge (on the perfect white dress shirt) and when to save (snag your military field jacket at a thrift store), what to wear to a summer wedding, and the key to impeccable interview attire. Also included are packing lists, clothing care, the brands every guy should know, and so much more.